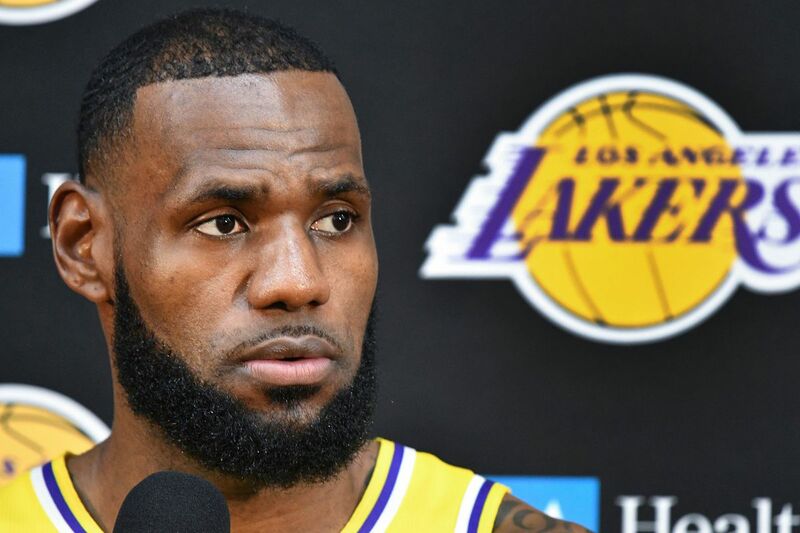 This year just did not shake out the way LeBron James expected after leaving his home state for sunny Hollywood, California to play for one of the most historic franchises in all of sports, the Los Angeles Lakers. Well, this year was a complete disaster mainly because it seemed like Magic Johnson put a nice squad around James to compete for a championship. They won’t even make the playoffs. Things have gotten progressively worse for the Lakers and James just got a huge blow to his career. Make no mistake; the Los Angeles Lakers are one of the worst teams in the league which is ironic because they have the widely proclaimed “greatest player on the planet” as their centerpiece. If you want to know how bad the Lakers really are there is a measuring tool to use. It’s pretty simple. Is acting legend Jack Nicholson sitting courtside? No? They’re bad then. Nicholson likely loves his Lakers all the time because he’s a diehard fan but he won’t bother showing up unless they’re good. Why waste time in that abysmal Los Angeles traffic for a letdown. You can tell by the way James plays too. He really doesn’t want to be there – robotically going through the motions with apathy – and it honestly makes sense because they have no shot at making the playoffs for the first time in over a decade, and yet, they still have games to play. James lets players fly right by him without playing a shred of defense. But it all came to a brimming meltdown when he played over the weekend in New York at Madison Square Garden and was defeated in 124-123 after giving up a 13-1 run comeback in the final minutes to a horrendous Knicks team. James, of course, as he always does, controls the ball in the final seconds of the game and is blocked by a no-name Knicks player named Mario Hezonja to close out the fourth quarter. The Knicks swept the Lakers in the regular season and James unabashedly walks off the court back to the locker room like he really didn’t care. There was one moment during the broadcast where James was sitting on the opposite end of the bench from his teammates; not engaging with them or coach Luke Walton during a timeout. Legendary Knicks broadcaster Clyde Frazier absolutely ripped him for this blatant disrespect. Is there any other way to see it? The other striking irony being that James is probably going to get Walton fired after the season. James just points fingers at others when things don’t go his way. That’s his modus operandi.